Energy and hydration combined with herbs. Lavender Heaven`s unusual properties consist of the considerable amounts of apricot kernel oil and alkanet root powder. When added raw and pure at the right stage of production the oil maintains all its properties providing ultimate goodness for the skin. The alkanet root is special not only because of its marvellous colour but also because it is a herb which alleviates a number of skin-related problems. Contains plenty of Coconut oil, Lavender oil. All hand-made and vegan. The smile is always a must! Contains: Fresh oils: Apricot Kernel Oil, Lavender Essential Oil; Color: Rubia Tinctorium; Saponified oils: Coconut oil, Olive oil, Rapeseed oil. The name of the soap has to do with its ingredients and the feeling it leaves on your skin. 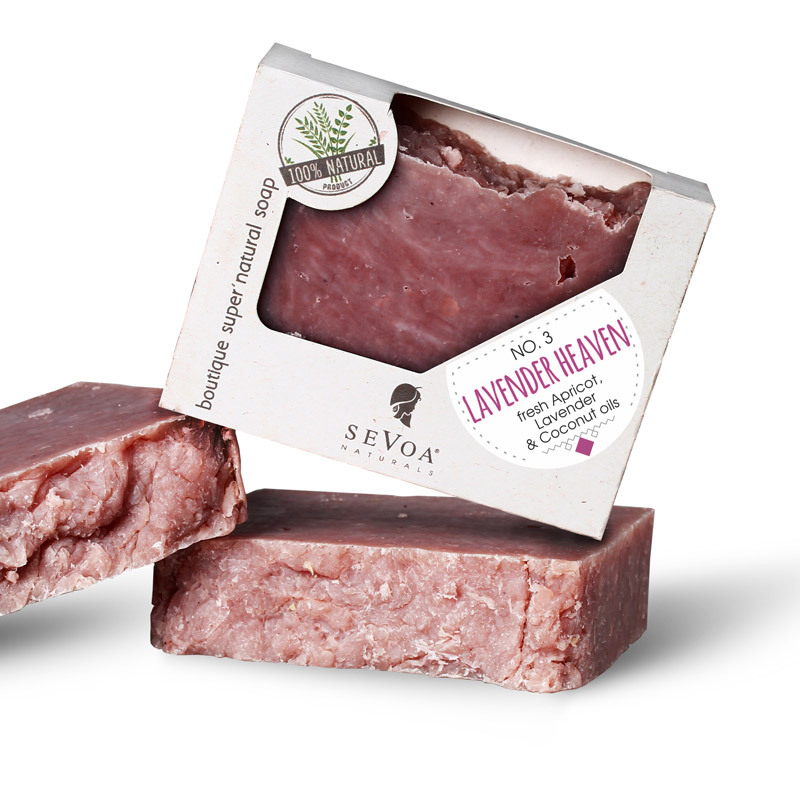 “LAVENDER” gives the strong aroma which is due to the Bulgarian essential oils we use. “HEAVEN” is clearly an association with the heavenly feeling that the soap induces.